It is the real deal. From the self adjusting wing, to air jacks.. This is not a backyard operation. Passion is what motivates the greater population of racing car drivers, and nothing better to have than your own father by your side, to help with developing and testing the car. 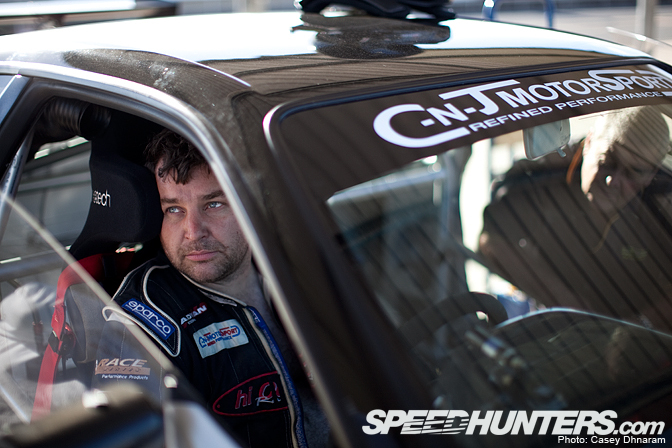 A couple of weeks prior to this event, Mark and his team travelled to Eastern Creek, if you are not familiar with this track, it's based in Sydney, NSW, where the 'World Time Attack Challenge' will be held in May. Testing on the new track, Mark and his team were mainly trying out new aero on the car including a huge front lip and auto-adjustable rear wing. I snuck in a few words prior to Mark striking the track; his major reason for being here on this day was to assess the AWD. He mentioned that when the team was previously at Eastern Creek a few weeks prior, the car wasn't performing properly and was way too slippery in the rear. Even though the AWD System was functioning better than earlier attempts, the car still looked outrageously slippery coming out of turn 2… Or maybe Mark was just having some fun? 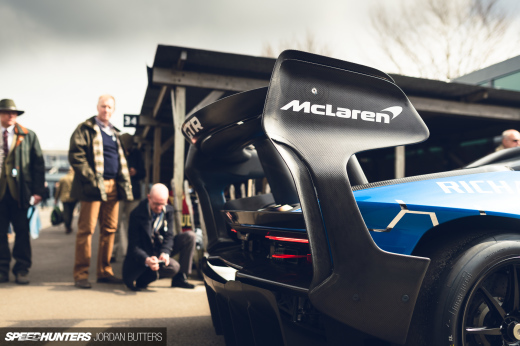 With every gear shift sounding similar to a gun fire, the noise that this car produced echoed for miles into the forbidden unfilled farm fields, leaving a profound note that distinctly set off the Advan/Hi-Octane GTR. 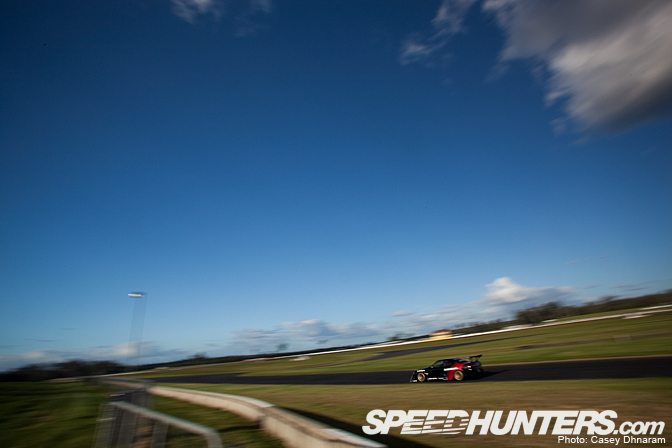 By this point in the afternoon, 90% of the drivers where taking in the short period of time Mark was on the track to observe how a local track should be driven, by one Australia's top Time Attack drivers. Sitting in the pits, cooling down, and getting ready to head home, Mark was quite pleased with the result. I'll see you at Superlap 2010! 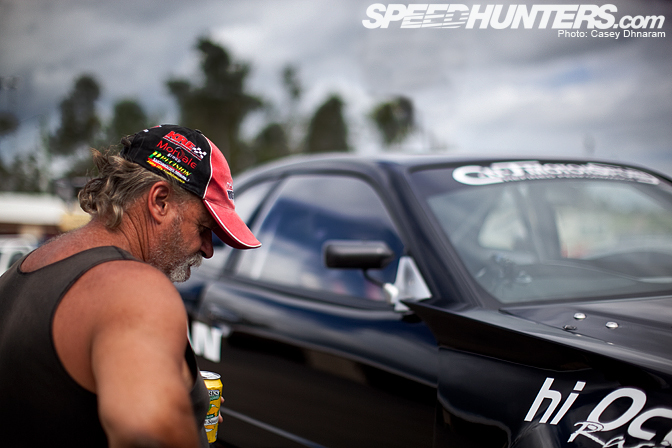 Look forward to meeting the Speedhunters team! Casey, picture 10 as a desktop! 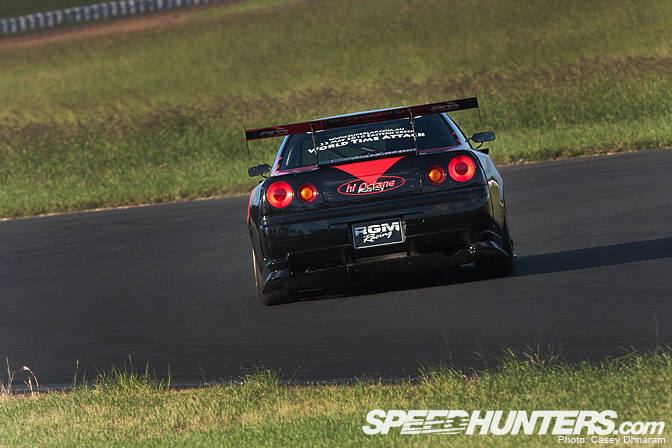 Nice coverage, I absolutely love watching this car scream around a track. My god, the interior of that car is just pristine. You can eat off that floor much safer than a McDonalds, I guarantee. Good luck in May Hi-Octane! 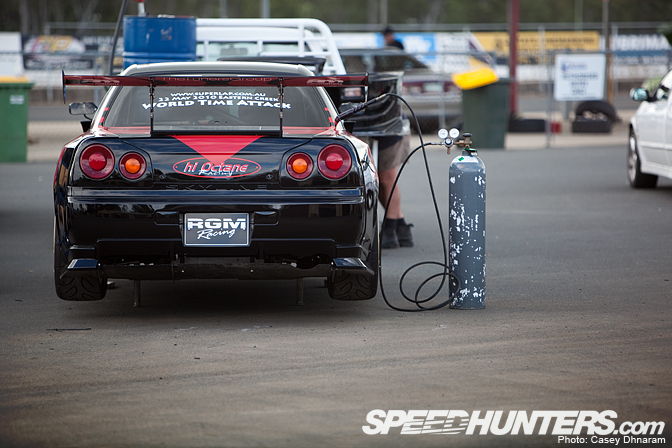 can you please upload a desktop of picture 13 that shows the side exhaust...? i am also waiting for the gt1 porsche story u posted (previously)! 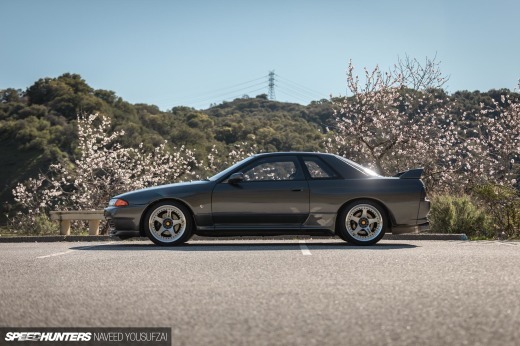 I hope we can have this car, the Cobb R35, Sierra Sierra Evo, and the HKS CT230 all battle it out soon. When are the TA World Championships? I love this car, and I hope it goes on and performs well enough to take top honours. Currently in Melbourne everyone, when I'm home i will be sure to add desktops! And also get cracking on the Bathurst feature. This car is sick. Second last picture as a wallpaper please. Another request for pic 10 as a desktop please. 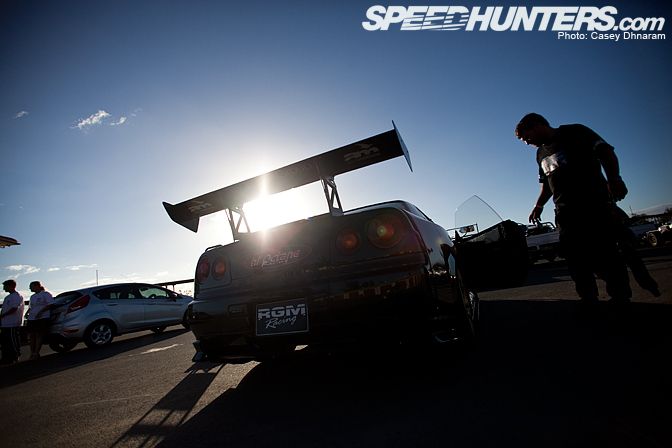 Thats a great pic. Cant wait to see your feature on the Porsche GT1 at Bathurst FOSC Casey. Keep up the good work. Some excellent shots there, well done. 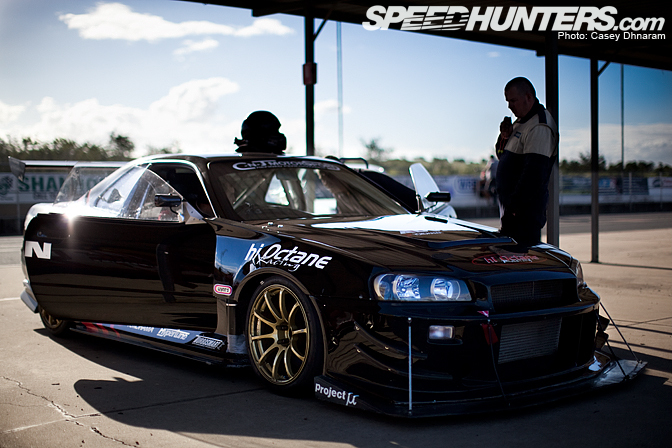 On of the most vicious looking and performing R34 GTR's in AUS. 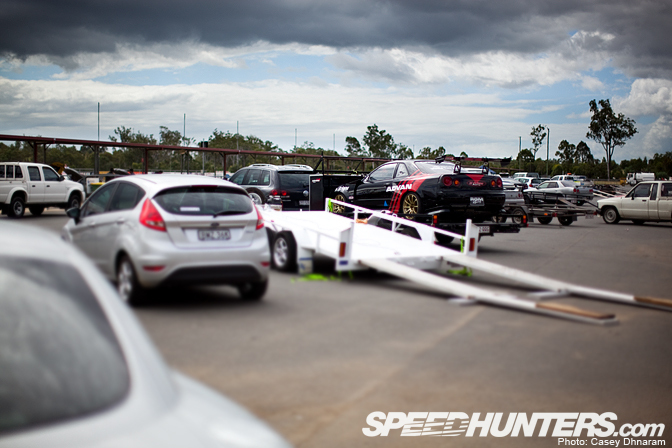 Well known on Skylines Australia Forum. Highly praised, well done ppl and all the best! I heart this car so much. I love the wheel upgrade they went with. 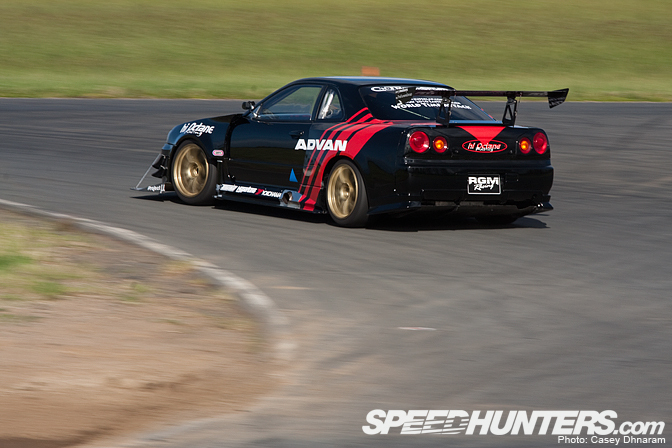 Gold Advan RS's are teh shznit. i've seen this car before... one the Aussie's top 'flying machines' & driver... taking on 'Cyber EVO'? now that would be an epic throw-down!! Looking tight, beast car! desktop with the one with opened doors and the Advan RS in all their splendor? please! 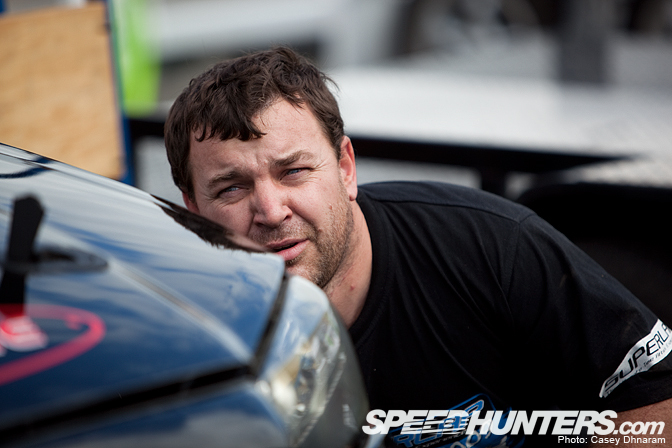 Nice work on the article Casey, can't wait to see this car in action in May! What is that "Weapon in action"? Take on the Cyber Evo. Right, I don't see them placing top 4 in their own event. Cyber Evo, Sierra Sierra, Pan Speed, FX NSX, and R Magic. Not to mention Rado's Frankenstein AWD TC will be there. I hope they get the car working as good as it's going to get because you know the Cyber Evo and FX NSX will be looking to show the world they have the best stuff. do you think you could contact russell newman please . Car is so sik! 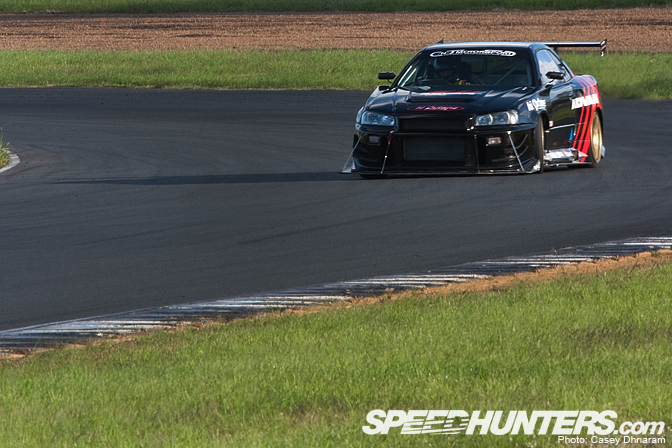 So many good desktops out of these photos, especially the one of that beast getting a bit sideways out of turn 2. 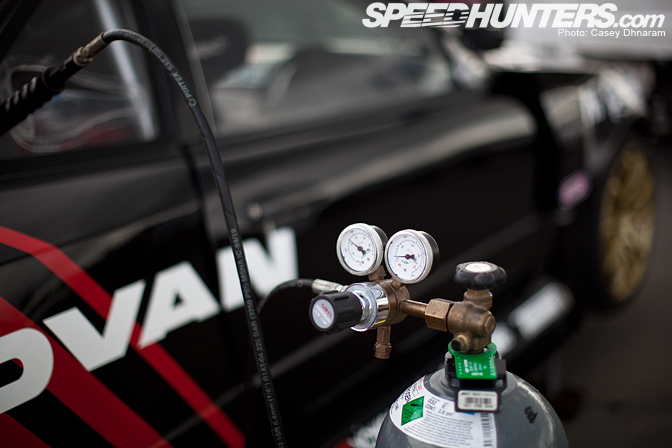 @ 'hi octane' - if you could e-mail me with some contact details, that'd be great!